This kind of pulley was produced by spheroidal graphite AS 1831 Grade 500.7, also called as ductile iron ASTM A536 70-50-05, or 80-55-06. 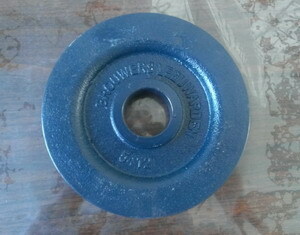 Most of pulley should be assembled with pulley, shaft, spring and bearing. The pulley could be produced by automatic molding line or shell molding casting process. The shaft should be machined directly by high tensile steel bars. 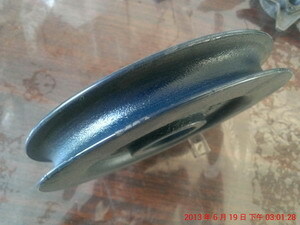 The followings are some photos for the cast iron pulley that our foundry produced in the past.